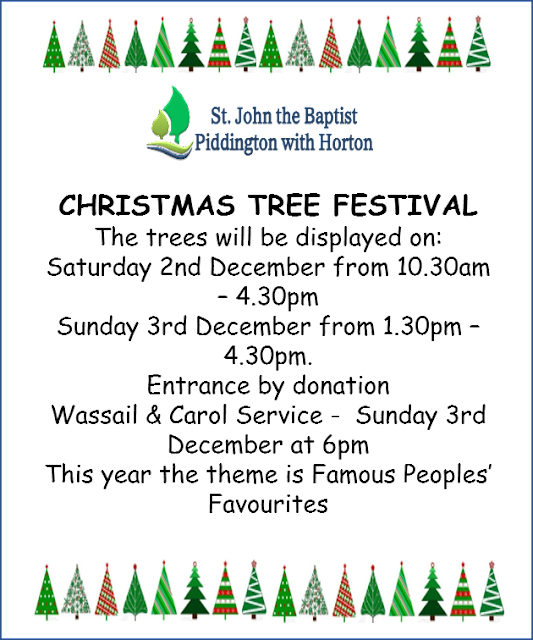 Don't forget to pop along to St John the Baptist, Piddington this weekend and marvel at the wonderful Christmas Trees. If that is not enough to get you into the Christmas spirit, you can pop over to St John the Baptist Quinton Saturday evening to enjoy Mistletoe, Wine and Carols and if that wasn't enough you can come back to Piddington Sunday night for the Wassail. Let's hope that leaves you with enough energy to do your Christmas shopping! 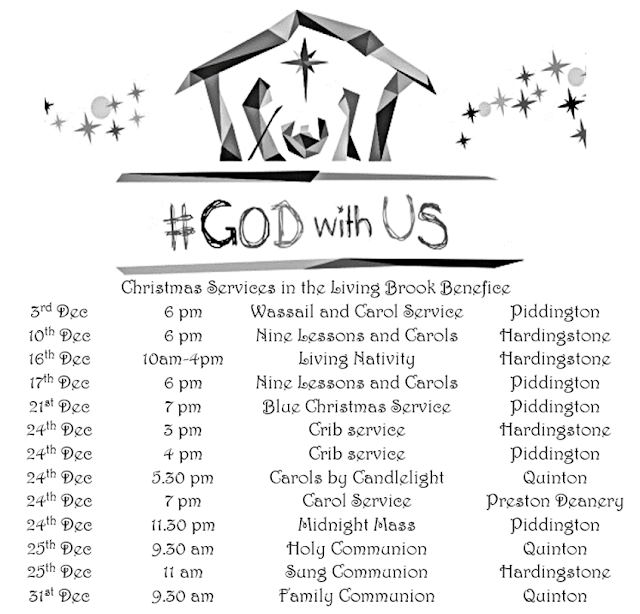 As usual we have many Christmas services in the Benefice which are set out below, it would be lovely to see you at one, a few or all! Come along to show your appreciation of the 60 years that Edward Kilpin B.E.M. has been our organist. We are holding a special celebratory praise service at 6pm on the 26th November at St. John the Baptist, Piddington. Everyone is welcome. In addition to his weekly contribution to our services that has enhanced our worship; his music has marked the precious moments in so many people's lives in our communities bringing joy and comfort in equal measure.